What’s the difference between LTE and LTE-A? LTE (Long Term Evolution) is a standard for wireless broadband communication for mobile devices. LTE-A (Long Term Evolution-Advanced) is a major enhancement that allows for the combining of multiple LTE bands for increased speeds and better performance. Is it fast? 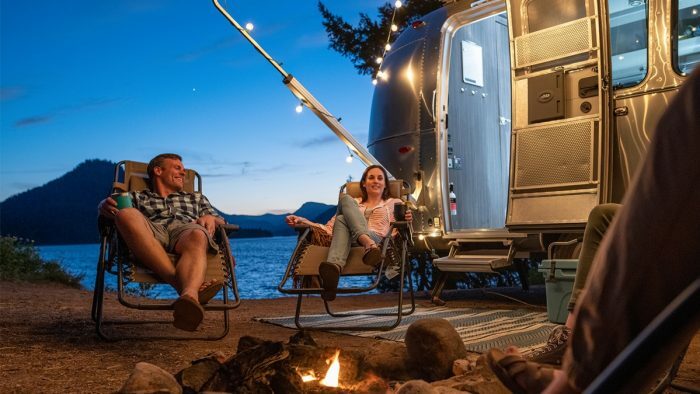 The Airstream Smart Control and Airstream Connected systems were designed to give you broadband streaming capability anywhere that you can get a reliable signal on the AT&T network and free from 2.4Ghz interference. The system is designed to provide enough speed to stream multiple devices while using little power with secure data. See more on Smart Control Technology here and Airstream Connected here. What kind of wireless router is in the Airstream Smart and Airstream Connected system? The Airstream Smart Control and Airstream Connected system uses a Peplink BR1 Mini mobile router that comes equipped with a 2.4Ghz 802.11n single channel Wi-Fi radio. This protocol has a maximum throughput of 72.2 Mbps per second at 20 Mhz. What is the difference between Airstream Smart Control and Airstream Connected? 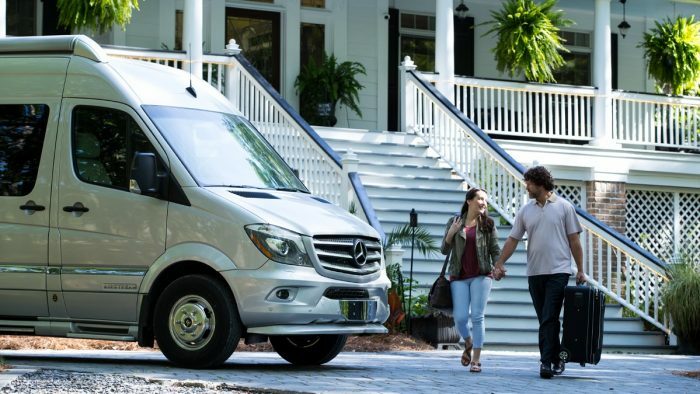 Airstream Smart Control is an integrated remote control, monitoring and 4G LTE connectivity system available as OEM equipment on select Airstream vehicles. Airstream Connected is the same 4G LTE connectivity found in Airstream Smart Control, but does not include the integrated remote control and monitoring system. Both Airstream Smart Control and Airstream Connected have companion mobile apps to simplify router management, locate your Airstream, feature integrated checklists to make Airstreaming easier, along with customer service and support resources. Read more about Smart Control Technology here, and more about Airstream Connected here. How do I apply for the Customer Advisory Board? Starting in 2019, we select a key group of Airstreamers to serve for one year on our Customer Advisory Board and share their thoughts, frustrations, ideas, and hopes for Airstream products and the brand as a whole. If you’re an Airstreamer and have unique experience and insight to share, we’d love to see you apply for the board. Fill out the form here and tell us a little more about yourself. Once we’ve received your application, we’ll follow up with next steps. How is the travel trailer exterior length measured? All Airstream Travel Trailer exterior lengths are measured from the center of the hitch to the end of the rear bumper. While most of the model floor plan names indicate the trailer length, please see each floor plan specifications page to view the exact dimensions. I have a problem with my Airstream. What should I do? We’re sorry to hear it, but we’re sure we can help. Please contact Airstream Customer Support here or call 1-937-596-6111. Do you offer customization on Airstreams? Due to the large volume of Airstream travel trailers and touring coaches we build, we do not offer customization. 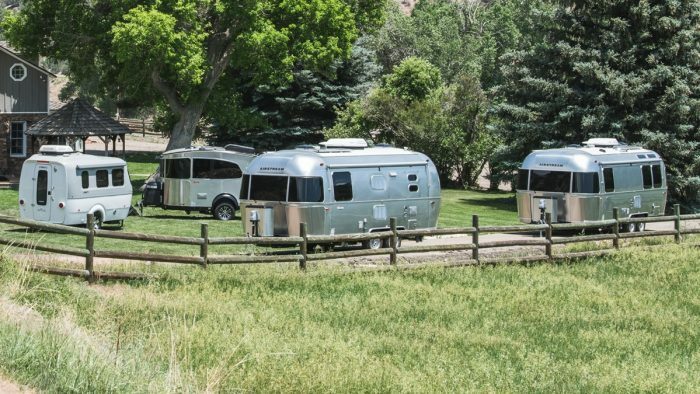 We do offer tools to help you choose the right Airstream for you, like our Compare Travel Trailers tool, and our Build Your Own Touring Coach tool. Our headquarters is located at 420 W. Pike St. (State Road 274), Jackson Center, Ohio, 45334. Headquarters includes several buildings on both sides of the street. If you’re visiting for a factory tour or for service, head to the lobby of the Airstream Factory Service Center (Northeast side of the street). We’re currently building a brand new headquarters in Jackson Center. Read more about the new facility here. When and where was Airstream founded? 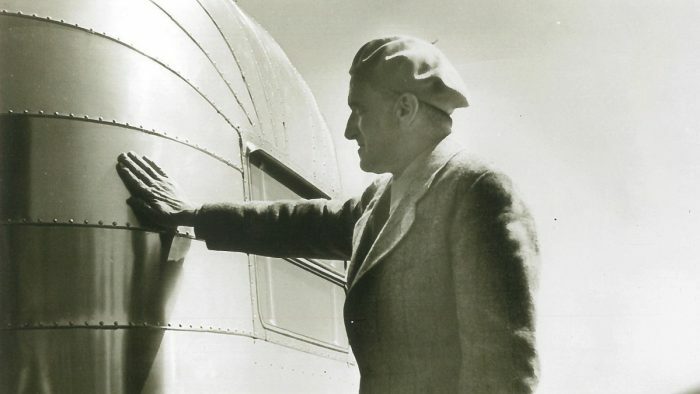 Wally Byam founded Airstream in 1931 in Culver City, California. After experimenting with building travel trailers that made camping much more comfortable than rugged, Wally rented a building and opened a small travel trailer factory. The factory has moved since then, but that’s where Airstream was born. Read more about Airstream’s history here, and more about Wally’s personal history here. When did the Airstream factory move to Ohio? Airstreams were originally built in California, but by 1952, the company had outgrown their space. Rather than stay out west, Airstream founder Wally Byam scouted locations in the midwest where the company could grow and contribute to a community. That year, Airstream officially called Jackson Center, Ohio home. Wally Byam created the very first Airstream travel trailer in 1929 and founded the company we now know as Airstream in 1931. Read more about Wally, his life, and how he got inspired to create an American icon here. The prices of our travel trailers and touring coaches vary based on the size, floor plan, and features we build in. Each product’s price is listed right here on our website. Use our menus on the top left to choose a product, or go to our travel trailers page or touring coach page. You should also talk to your Airstream dealer about what the final price of your Airstream could be. To find your dealer, click here. How do I find my nearest Airstream dealer? Use our dealer locator here. And when you need to refer back to it, you can find it in the top right corner of every page of our website. What is the warranty term for a new Airstream? 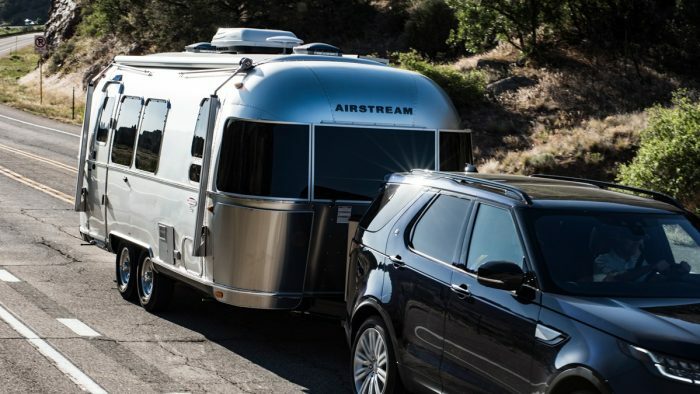 Each new Airstream comes with a 3-year Airstream Limited Transferable Warranty and 3 years of Coach Net 24/7 Roadside Assistance. 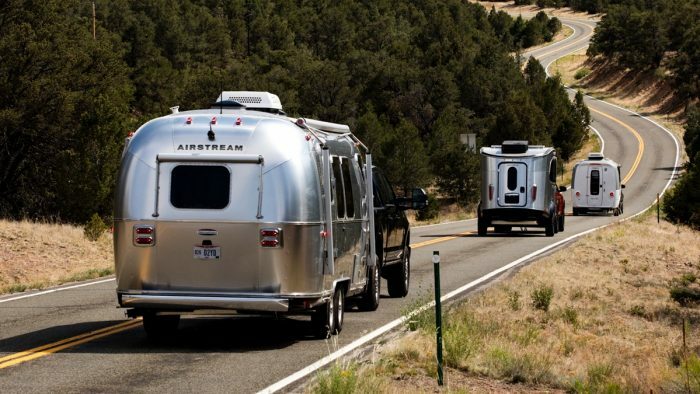 Talk to your Airstream dealer for further details on warranty coverage. If you need help finding your dealer, start here. Can I add more batteries to my Interstate EXT Touring Coach? Yes, and you can purchase those batteries and any parts needed through your local Airstream dealership. To find your dealer, click here. What are the red numbers I see on some Airstreams? Back in the early days of the Wally Byam Caravan Club International, each Airstream that traveled with the caravan was given its own unique number. You can read more about the original caravans and the Airstream numbers here. You can also give your Airstream its own unique, official name using our registry here. How long does it take to build an Airstream travel trailer? It takes approximately 350 hours to build each and every travel trailer. Why? Because we build the right way, even if it’s not the easiest or fastest way. Learn more about our process and how we ensure quality meets our own personal standards here. How many vintage Airstreams are still being used today? 75% of the hundreds of thousands of Airstream travel trailers we’ve made since 1931 are still roaming the highways all over the world. How? We build them to build not just a lifetime, but for generations and generations to come. Read more about quality story here. I have a vintage Airstream. Where can I find floor plans and documents about it? Historic product information, ads, articles, and more are located in our Document Archive. You can search for your specific product or browse our archives to find all sorts of interesting stuff. Where can I find parts books and owner’s manuals? Our Document Archive includes parts books for all Airstream models from 1998 through the present model year. Our Manuals page includes owner’s manuals from 2001 through the present model year. Where can I search for parts for my Airstream? We recommend consulting the manual for your Airstream to see what parts you need first. Find your manual here. Once you have your manual, connect with your Airstream dealer to order the right parts. To find your dealer, click here. Help! I lost my manual. Can I find a copy online? You sure can. Search our Manuals page and download what you need. When is the Airstream factory tour? The Airstream factory tour starts at 2 p.m. EST Monday through Friday. Meet in the lobby of the Airstream Factory Service Center with time to spare so you can check in and get ready for the tour. For more info on where to go, what to wear, and what you’ll see, click here. Do I have to register for the Airstream factory tour? Tour walk-ins are welcome and you do not have to register to attend unless you have a group of 25 people or more. If you have special needs, we encourage you to reach out ahead of time and let us know so we can create a tour experience that works for you. Learn more about the factory tour here. How much does the Airstream factory tour cost? The factory tour is free! We’re happy to offer this service to anyone who’d like to attend. For more information on what to expect, what to wear, and when to arrive, click here. How do I apply for the Endless Caravan program? 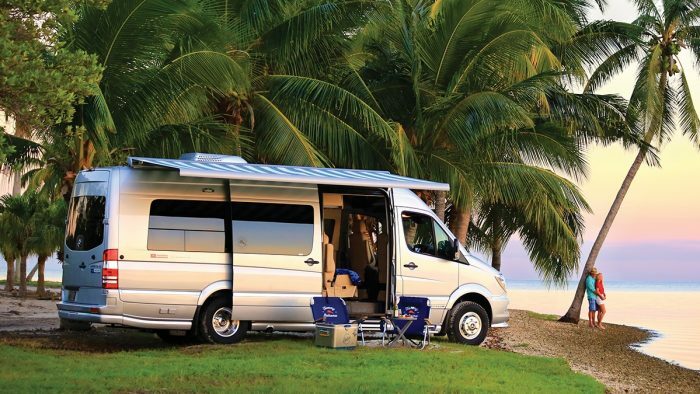 Do you have an Airstream or just an adventurous spirit and a reason to hit the road? We want to hear all about it. If you’re interested in being part of our Endless Caravan, fill out the form here and tell us more about yourself. How do I become an Airstream Ambassador? Airstream Ambassadors are Airstream owners who welcome others to the community, help answer questions, attend events, and embody the Airstream brand out there in the world. If you’re an Airstreamer and interested in being an Ambassador, fill out the form here and tell us more about yourself. The Wally Byam Caravan Club International is the world’s largest Airstream club. Join with other Airstream owners and get involved in rallies, travel caravans, and other events. Start with a visit to their website here. I applied for a job at Airstream. Why haven’t I heard back? Thank you for your interest in working at Airstream. Due to the volume of résumés we receive, we sadly can’t respond to every single one. We do, however, hold onto résumés for three years and continually contact applicants if we have positions that match their knowledge, skills, and abilities. To learn more about Airstream careers, click here. What is a Touring Coach? 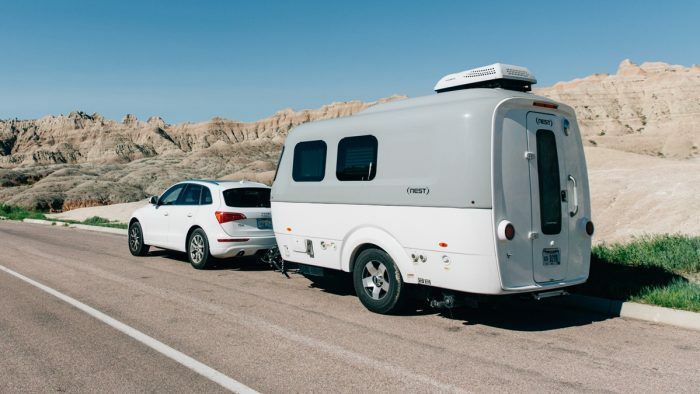 "Touring coach" is our name for Airstream motorized RVs. 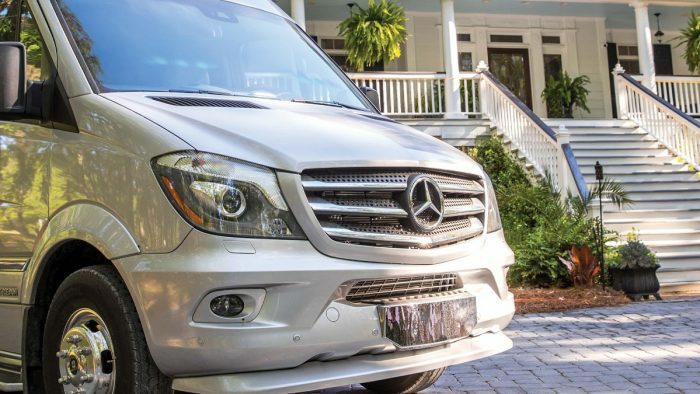 Browse our full line of touring coaches here. Travel trailers can be towed with a variety of vehicles and are made for a variety of uses – from hauling to traveling to full-time RVing. Browse our full line of Airstream travel trailers here. Have a different question? Ask away.